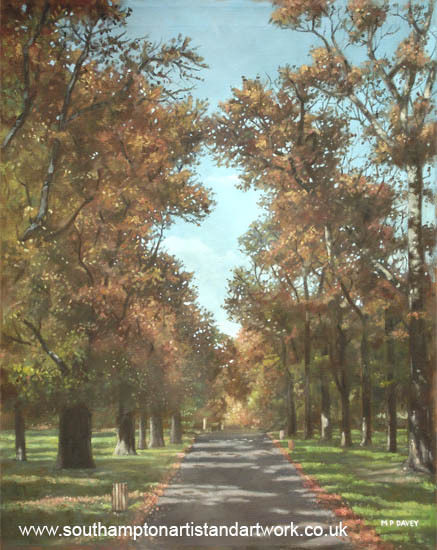 This painting is of Palmerston Park, in Southampton, UK. It is named after the former Prime Minster the 3rd Viscount Palmerston. Autumn is well embedded, the sky clear and the light sharp. I was attracted to the combination of the colour of the trees and the vivid blue sky. The line of dead red leaves either side makes a nice border between the tarmac path and the green grass. It is painted on canvas in oils, measuring 20" x 16".